In 2011, AOrante set out to create his chiptune tool GrooveSX. In an early announcement we already discovered the goal was to create a live music synthesizer that supports 2 PSG chips and 1 SCC chip. Between then a little sneak preview was revealed in our news bits section, but so far we had not been able to toy around with this utility ourselves. Until now, because Konamito is now offering a freely downloadable beta version of this Groovebox for MSX right here. Although the project is still in its early stages, it is already a lot of fun to play around with. I can imagine this is a niche application, but very cool to see something like this being created! 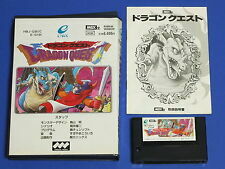 Who would have thought something like this to come to the MSX? Great work, keep it up! Aorante *MUST* complete the work! More information of my musical software projects in PSGed Blog. sorry, but it is only in Spanish.